I am so excited to be apart of this EYMM blog tour! I will be honest, when I first saw this tour, I was going to pass. 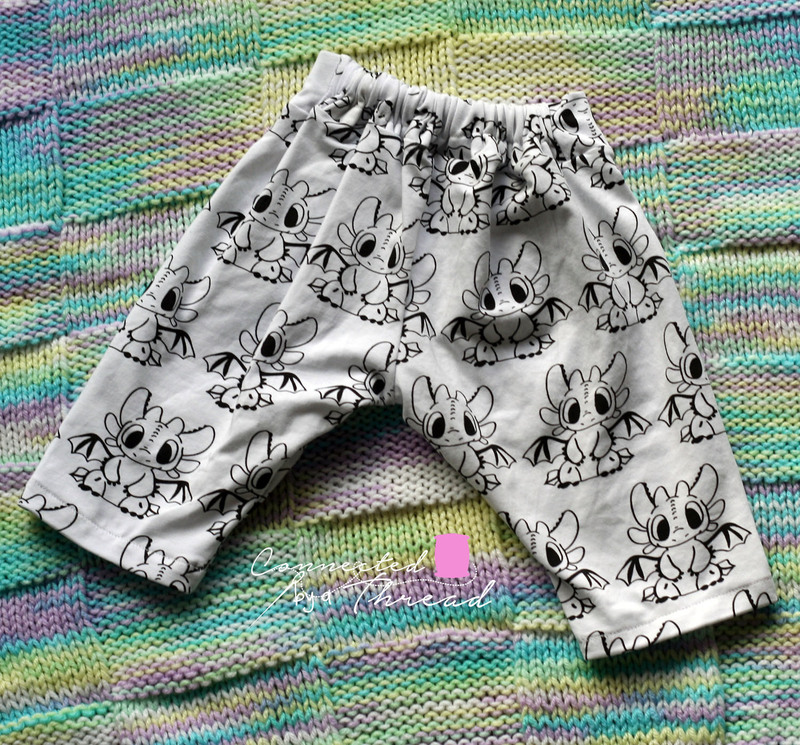 Harems are not my style, nor something my kids would wear often. Then it dawned on me! I have a sweet little nephew on the way! 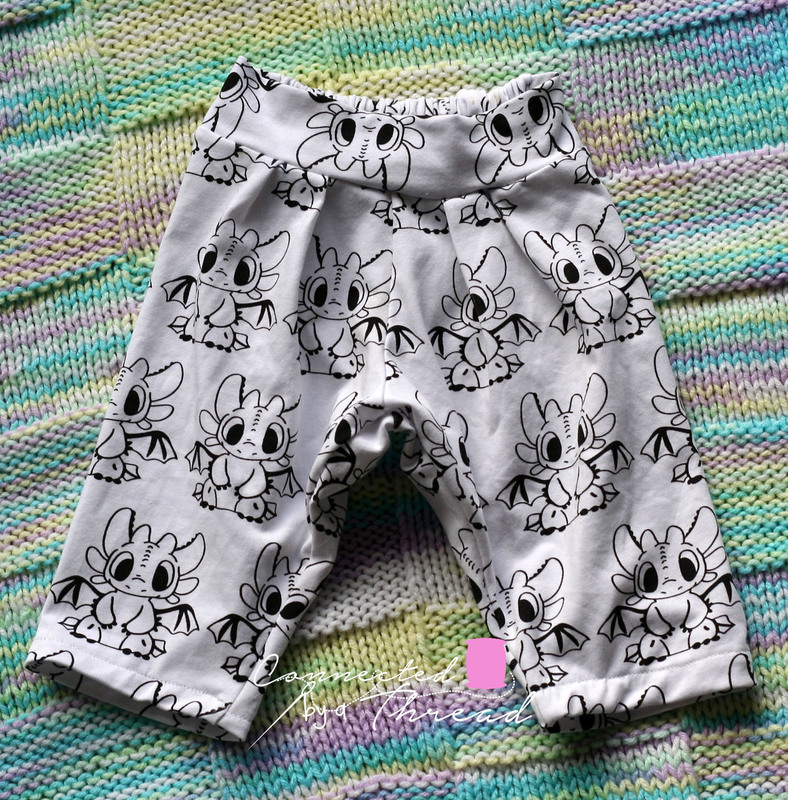 These are prefect for diapered bottoms! 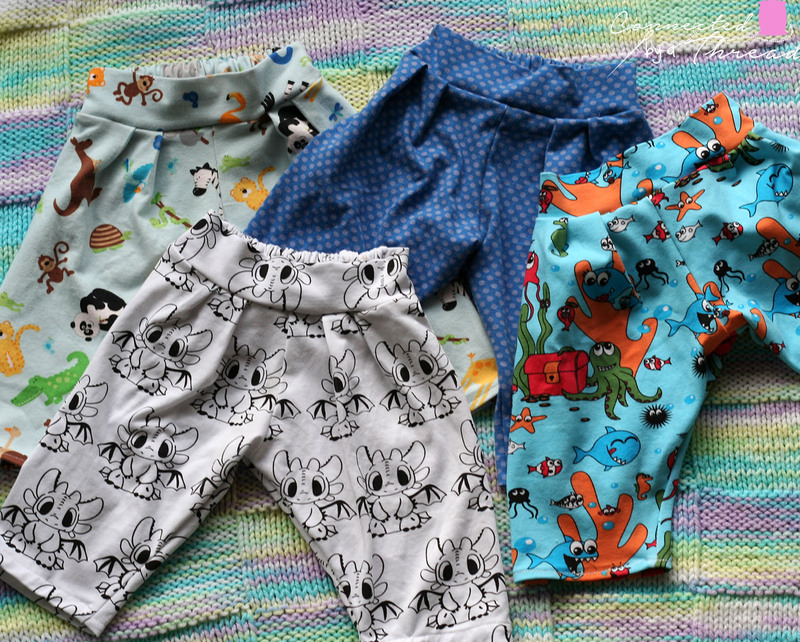 So, I decided to sew up the size 0-3 months size. 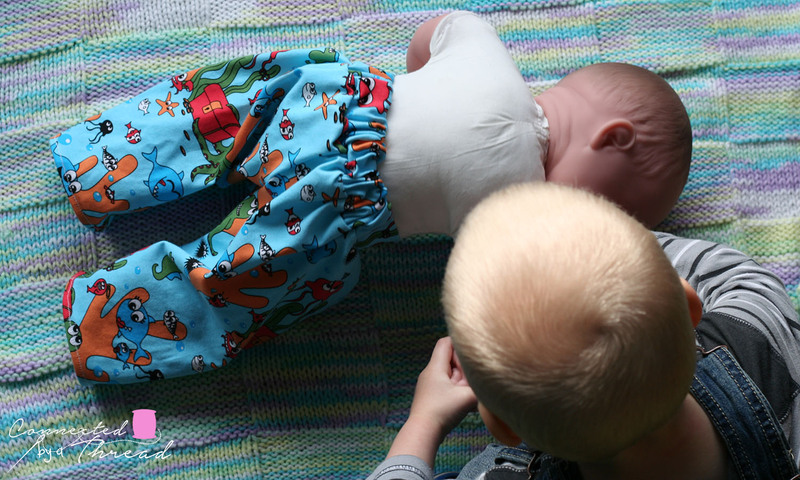 When I picked fabrics, I didn’t know if baby would be a boy or a girl yet, so I tried to pick gender neutral prints. I chose to go with knits since I sewed such a tiny size! The zoo print and blue dots are from Whimsical fabrics. I bought some a while back when she had it on clearance. The other two, I got in a fabric swap with a friend. The toothless custom knit, both my kids have items from it, and now my nephew will too! These came together really quick, all 4 pair took me about 2 1/2 hours to cut and sew (with distractions). I guess I need to make Kevin some new pants! 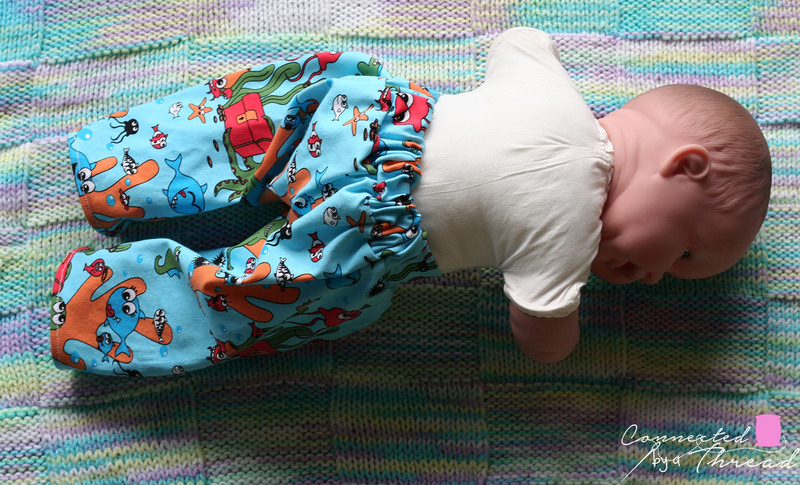 He is a 20″ lots o love doll, and I think the newborn size will fit him perfect! Side note, before you ask, yes, I knit the blanket in the background! 19 children’s sizes, newborn-18 tween. 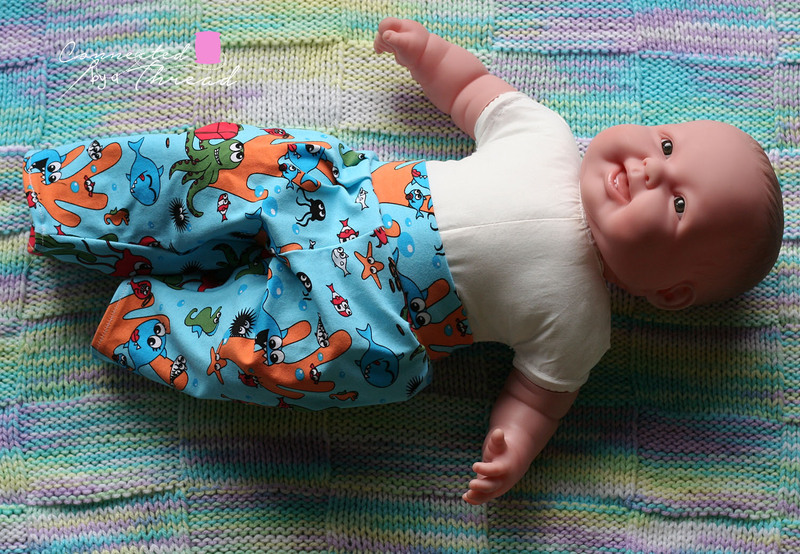 *BONUS* includes doll pattern that fits most 18″ dolls and can be shortened for 15″ dolls. I hope you find someone (or yourself!) to sew some harems for! During the blog tour, you can get the Freestyle Harem Pants on sale! Use code FREESTYLE to save 25% on the women’s* or youth* sizing or on the bundle*, expires at 11:59pm PST on 3/15/2016. They are really adorable and look great in the bright fabrics. Young “Newbie” will be very happy in them, I am sure!